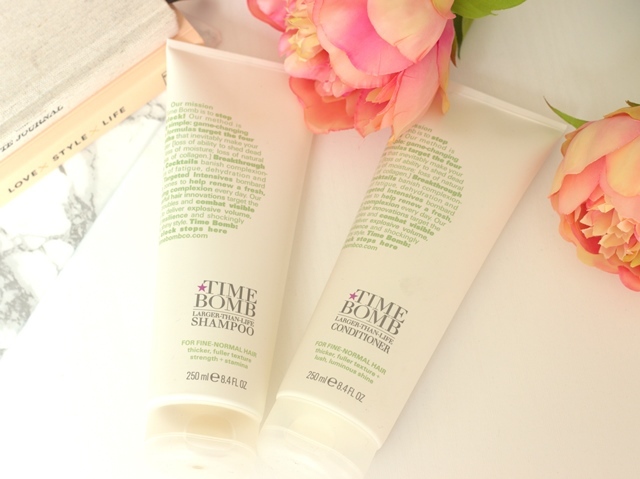 The Larger than Life shampoo and conditioner is gentle but gives some great volume. I have heard before that shampoo with wheat extracts give great volume and this does just that. 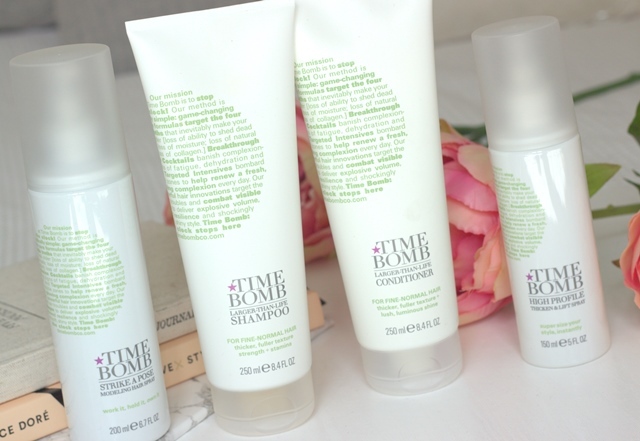 After using the shampoo, my hair feels instantly textured and bigger, even when wet. It does not feel smooth at all but that is when the conditioner comes into play. It gives great shine without weighing the hair down and yet you can feel the volume and see a clear difference after styling. 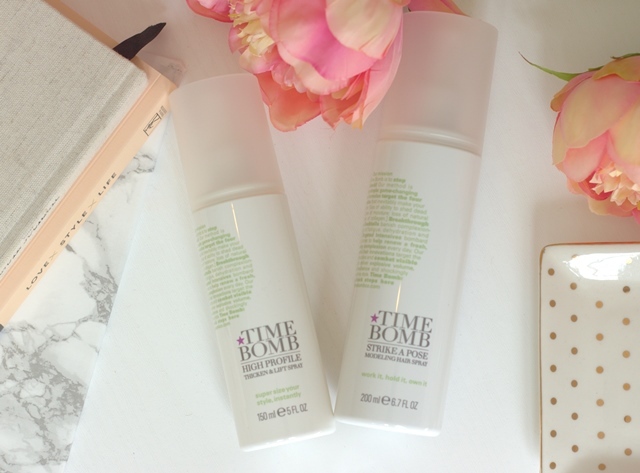 Speaking of styling, there are two more fabulous products in the Time Bomb hair care range. The High Profile Thicken and Lift Spray can be used in damp hair a full finished look without a sticky feeling. I absolutely love the Strike a Pose Hairspray, it gives great hold with flexibility and allows you to brush through your hair without leaving a residue or stiff feeling. Even after sleeping on my hair, the morning after the night before, my hair is still holding the curls I put in without looking or feeling like I put hairspray on. If you change your mind and want change-up your hair style you have the flexibility to do so! I do think this one is a backstage must-have!